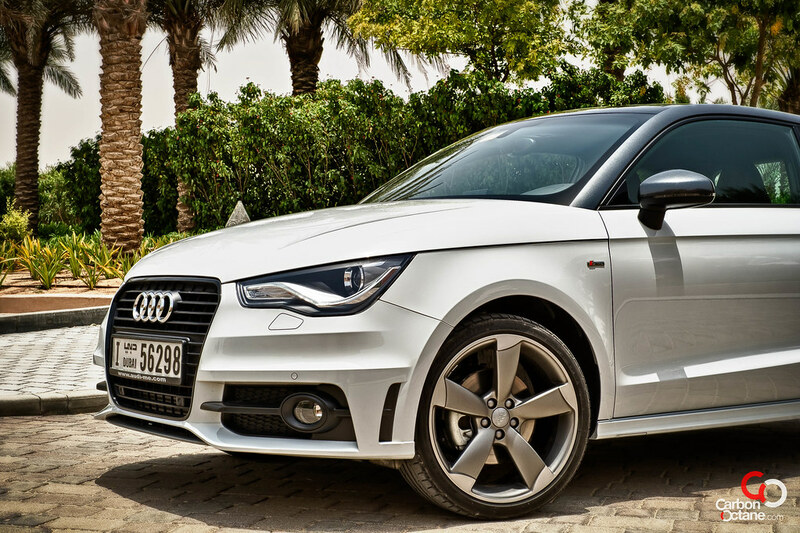 This is the 1.4 TFSI, 185 bhp version with S Tronic 7 speed transmission. It generates an astounding 250 nm of torque through 2000-4500 rpm. 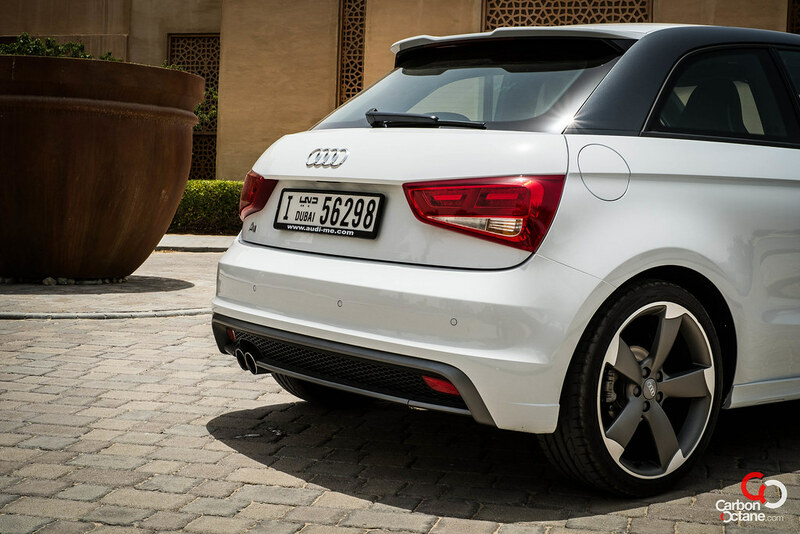 The little fireball inside the engine bay propels the A1 from 0-100 km/h in a startling 6.9 seconds en route to a claimed top speed of 227 km/h: performance figures that are well into sports car nudging territory! These numbers are achieved with the help of a twin stage turbo charger that provides serious poke once you are past 3,500 rpm. Below that figure, a supercharger eliminates any hint of turbo-lag while keeping the engine on boil. The diminutive proportions of the A1 are well complemented by a lack of mass up front, thanks again to the smallish engine. A well weighted and leather wrapped steering wheel, 18” alloy wheels, and sticky rubber combine to deliver a truly spirited driving experience with the car feeling very nimble on its feet. At the very first corner you begin to understand the rightness of this package – big power and minimal mass. Driving along on the highway, gear selector set on auto mode, it is hard to believe that you are driving a petite car. Overall feel is sturdy, belying its small dimensions. Ride quality is sporty and stiff but blessed as we are with good roads, this is not going to pose any problems when cruising along. However, cruising is what the A1 tries its best to deter you from, thanks to the addictive hit when you shift gears to ‘Sport’ mode. The engine immediately revs up another 1,000 rpm, signaling its readiness to play along. Throttle response gets more sensitive and you feel compelled to let the engine sing, leading to a tap dance that requires a supporting duet from the brake pedal. The entire “Sport’ experience is altogether lively, frenzied even, and best enjoyed in small doses when gaps in traffic permit. Keep going at it for too long though and unless you have the endurance of youth on your side, you will be a jumble of fizzy nerve endings. 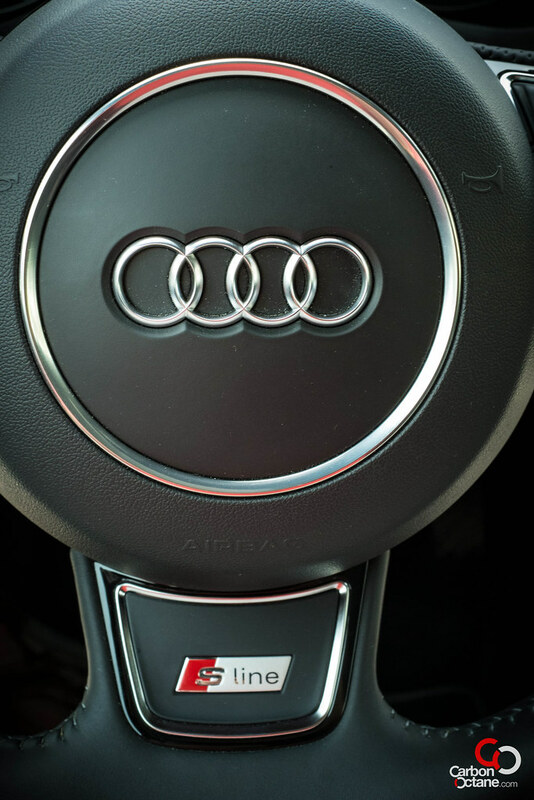 Gear changes, which Audi has developed to an art form, are achieved in quick-fire rapidity with the paddle shifters. Blatting away from stoplights, it’s a pleasure to tap your way up the gears accompanied by the manic scream coming from the dual exhausts. Channeling all that power to the front wheels does have its effect with torque steer under hard acceleration from a stop. But this is just another character trait you notice and get on with since it hardly detracts from the enjoyment. 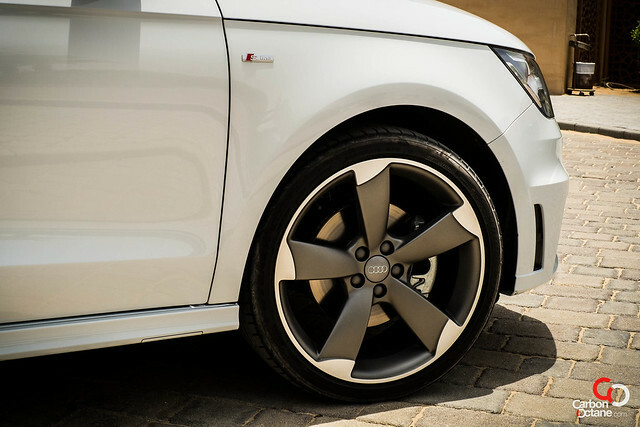 Although not equipped with Audi’s stellar Quattro system, there’s tons of grip which you can feel conveyed through the front tyres and on to the steering wheel. This is a car in which you will deliberately be taking the winding road instead of the straight and true. Every roundabout encountered is another Physics Test question on lateral acceleration, which you know you have the answer to. 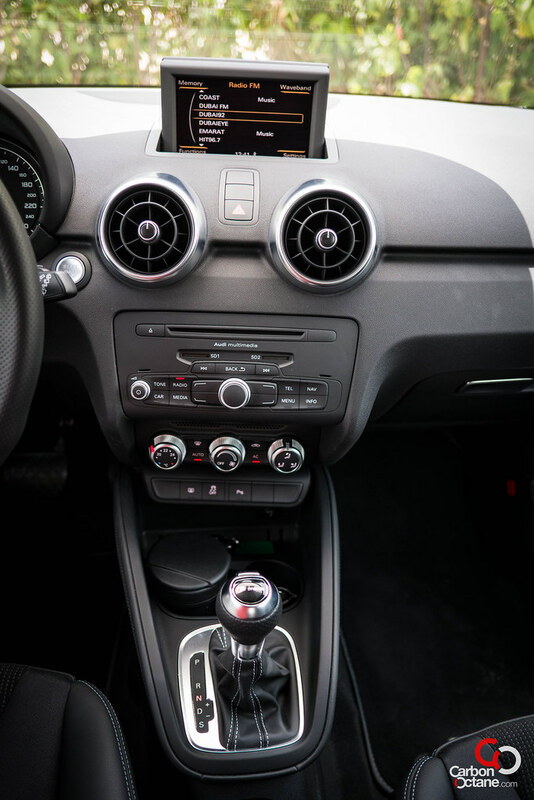 Audi’s supposed target with this machine is the venerable Mini Cooper S. However the design philosophy could also have been influenced by another trendy machine: the Fiat 500. In fact, the Abarth version of the Fiat 500 also runs a 1.4 turbo engine with similar 0-100 km/h performance. 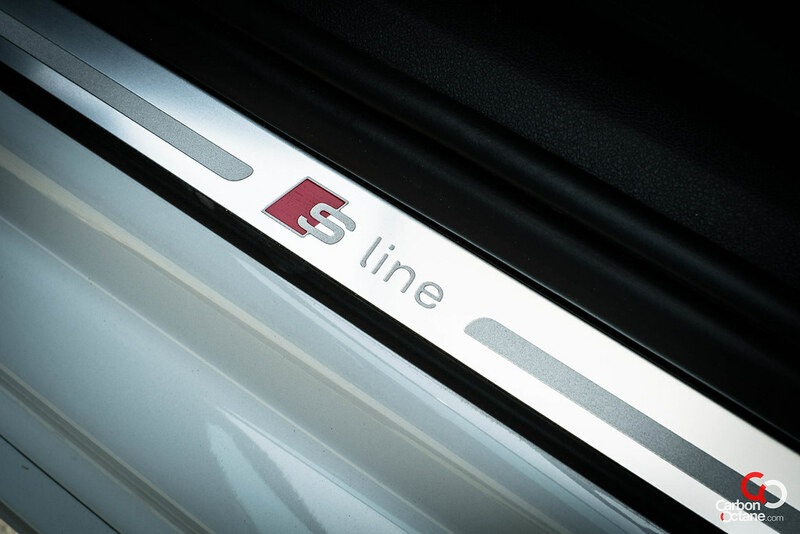 Where the Audi carries its edge over the competition however is in the quality of its build. Step inside and soft- touch materials abound, complemented by cool aluminum detailing. 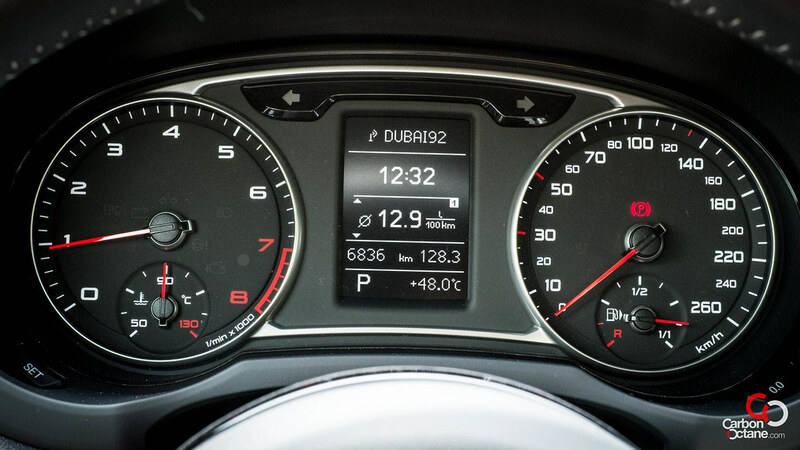 The instrument layout is typical Audi and the knobs and switches click with Teutonic precision. 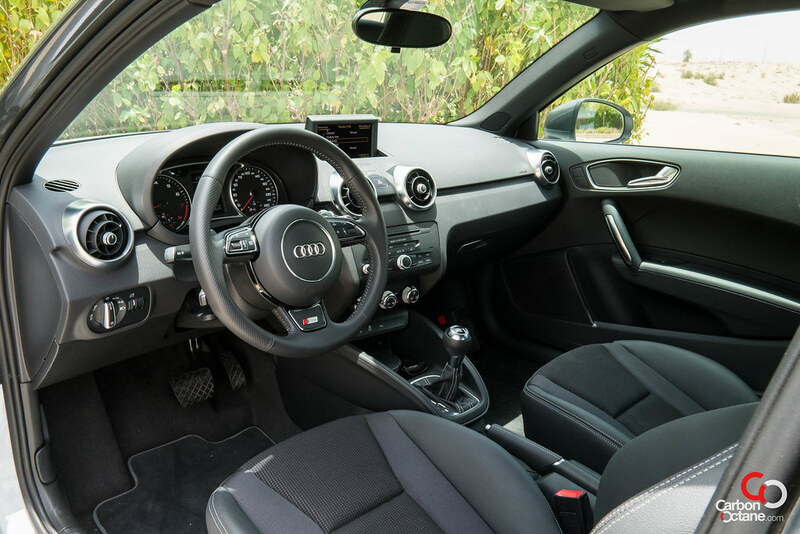 Seated inside and held firmly in place by sport seats, you just know that Audi has not skimped on quality in order to compete on price. Which brings us to the very delicate matter of pricing . 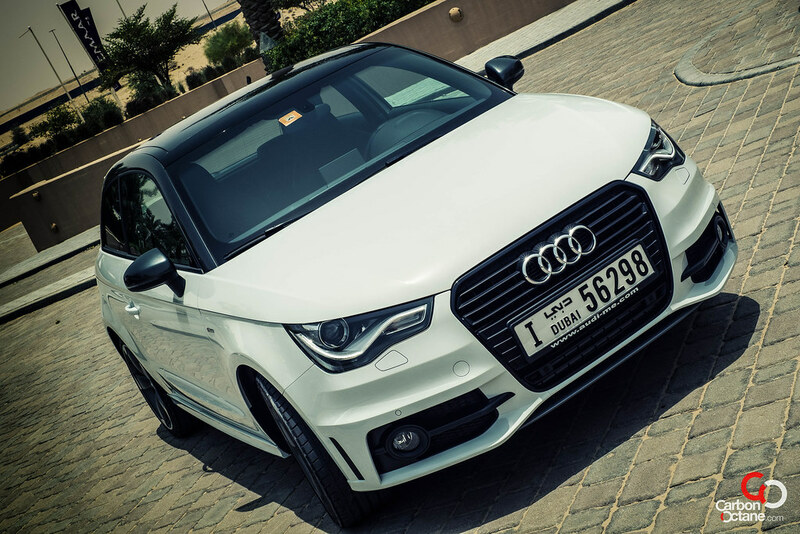 The A1 retails here for AED 124,900 and by the time you add on the S line sports package (which includes among other niceties, the S line sports suspension) and other creature comforts like Parking System Plus etc., the price edges up to a smidgen over AED 137,000. This might seem to some like a lot of money for a small car and especially so in this market where people compare vehicles across classes based purely on price. But for those who have sampled what this car has to offer, the price tag is not going to stop them from enjoying a truly fantastic driving package delivered in Audi’s unique blend of fun.